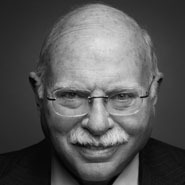 Michael Steinhardt co-founded Steinhardt, Fine, Berkowitz & Co. in 1967 and became one of the first prominent hedge fund managers. Under Steinhardt's direction, the firm returned an average of 24% (net of fees) over a 27-year period. Steinhardt's hedge fund career ended in 1995, when he decided to close the business after his fund gained 21 percent in its last year. Turning to philanthropy, he served as a board member for institutions such as New York University, the University of Pennsylvania, and Brandeis University. As chairman of the Steinhardt Foundation for Jewish Life, he has donated more than $125 million to Jewish causes and, with Charles Bronfman, founded Birthright Israel.